There is a dark side to human nature that neither can be wished away nor completely mitigated. Ashley Holzmann details just several of these "Laws of Nature" before taking his readers on a journey through the bizarre, the terrifying, and, ultimately, the disturbingly real truths that underlie much of modern American life. Ashley makes his debut into the horror genre with "The Stump," a story about an afternoon trot through the woods that quickly becomes a blood bath--and, much as it does for that story's creature, the scent of fear will only lure veteran horror readers further through the forest. A teenager's vanity will likely cause his town to be consumed by a roaming swarm of insects that burst forth from his acne-riddled skin in "White Heads;" entire populations vanish into the void of the Alaskan tundra in "Glass Houses;" and superiority takes the form of a murdering, sadistic woman in "Lady Macbeth." But Ashley's best retellings focus less on gore and adrenaline and instead take human psychology as their medium, as demonstrated in "Plastic Glasses," where readers are brought into a world of disturbing personality and mental disorders. Ashley's work abounds with stories in this vein, stories which grab a hold of a common failing--such as marital friction in "Hush," or American male frustration in "Orpheus's Lot"--and take it to an extreme that is nevertheless not inconceivable for most people. Coming from the mind of a man who has experienced more than his fair share of humanity, "The Laws of Nature" is, at its finest, a description of universal emotions of loss, nostalgia, anxiety, and soul-penetrating terror. Ashley's stories elicit empathy from his readers and draw them into worlds where they both acknowledge and cuddle with their fears and which leave them, ultimately, more human. 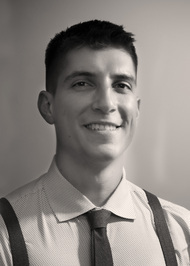 Ashley Franz Holzmann was born in Okinawa, Japan and raised in a variety of countries while his parents served in the Air Force. He considered attending art school, but is instead a graduate of West Point, where he enjoyed intramural grappling and studying systems engineering and military history. He majored in sociology and is currently a captain in the Army. Ashley speaks Korean, enjoys backpacking, and is the cook in his family. He currently lives in North Carolina with his wife, two sons, and their two dogs. 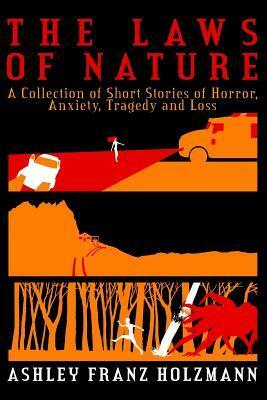 This is a novel of short stories of horror, mental illness, trauma and more. A few of these stories are very unbelievable - The Stump especially but it is more of a horror story. The rest of them are more believable and very creepy. One story that really got to me was Clarissa, the story is set out as an "writer" recording his story about meeting a killer named Clarissa and how she went about killing her victims. The narrator does a great job pulling the listening into this story, making you fell like he is speaking to you. At the end of it the "writer" ask how is your writing going Jennifer and a few other questions. Because I am a Jennifer and was totally engrossed into this story I was totally thrown off and freaked out. It was likely my favourite story. I also enjoyed the one about a truck driver explaining about how he drives truck and the safety that he has to deal with all the time, the other drivers out on the road and accidents. Another story is about a man who talks about losing his son to SIDs and hearing the baby still crying at night on the baby monitor, as the reader I felt he was just going through his grieving but in the end it isn't what you would expect. If you enjoy creepy stories this is a great compilation that you should check out. The narrator, Mr. Creepy Pasta, is amazing, he engages the readers and makes you feel like he is just talking to you. He really gets into the stories and "acts" them out verses reading them. There is music playing in the background for most of it but it really adds to the stories and makes things seem creepier. Mr. Creepy Pasta is an amazing voice for horror stories. I really enjoyed his narration so much that I looked him up on YouTube and have listened to more horror stories on his channel. I give this book a 5 out of 5 stars. I will look for more from this author and the narrator.